Nutrex, a leading global supplier of top quality feed & flour milling additives, will be present at the 5th IHSIG Symposium on Poultry Gut Health, that will be held at the Royal Bangkok Sports Club – Polo Club, In Thailand, from October 11-12, 2017. 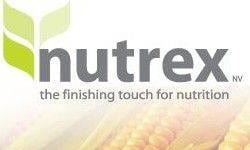 In this event, Anne Goderis, R&D Manager for Nutrex, will be part of the program with the conference: What type of NSP-enzymes are required when feeding barley to broilers?, on Wednesday 11th, at 16:45. IHSIG aims to promote health and welfare in poultry production by provoking debate between the scientific community, poultry producers, regulatory authorities, nutritionists and poultry veterinarians. Nutrex will welcome all attendees to the 5th IHSIG Symposium on Poultry Gut Health.